Front Line Services Inc. was founded in 1990 in an effort to find the best possible way to service the fire departments in Michigan. Back then, FLSI only performed vehicle repairs and the company grew quickly in this area. 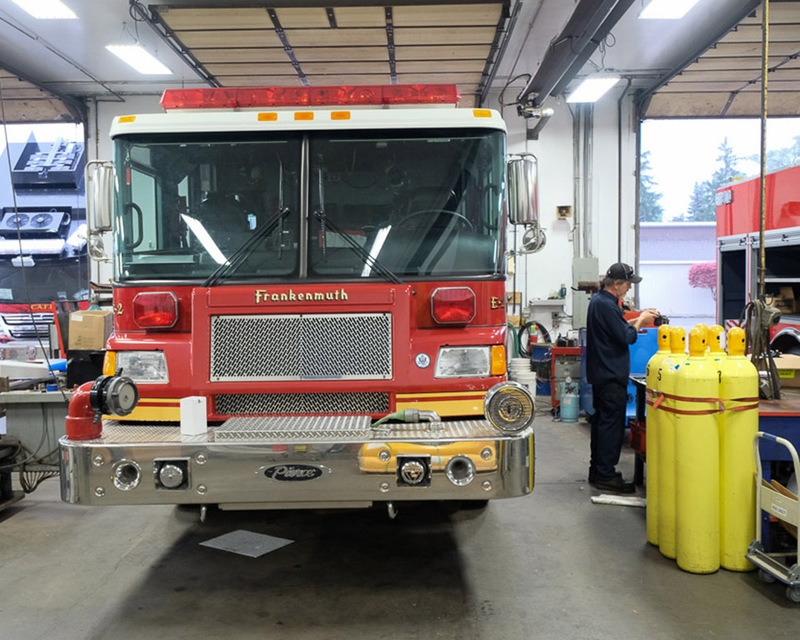 After being in business for less than a year, fire departments started to request additional mechanical services, equipment sales, and, eventually, new apparatus sales. The result is the FLSI of today. Through years of serving the fire service to whatever the future may bring, we pride ourselves on being your one source solution for most all of your fire and rescue equipment needs. It is our goal to provide our customers with quality, professional service repairs on all makes and models of fire apparatus. We strive to be very organized in our parts acquisition, scheduling, delivery of service, and all record keeping. Why should you choose FLSI to provide these services for your department? That’s simple. The FLSI commitment is that we work hard to provide each and every one of our customers the quality service, expertise and the follow-through they deserve. We strive to meet or exceed expectations every time. The next time you need service on your apparatus, quoting new firefighting equipment, or are in need of a new fire truck, look no further than FLSI.